Providing Pasadena with Commercial Garage Door Repairs, we offer our customers the highest in quality service and products. We recognize the importance of a garage door that functions property, so we stock doors, openers, and parts from the top companies in order to have your door back in working order as soon as possible. Providing options from all the top manufacturers, we have placed ourselves as one of the most dependable companies in the area. Our mission of providing services that are both high quality and affordable has made Sunshine Garage Doors one of the most trusted names in Texas. don't let your garage door problems linger an pose and inconvenience to you, give us a call today and we'll immediately dispatch a crew to your house, no matter if it's during the evening or on a weekend. Our team is committed to 100% satisfaction from all our clients. To learn more, give us a call at 713-775-3574 today! We recognize that your garage door is often the main entry point for your home or business, and our team of professional technicians providing Pasadena with Commercial Garage Door Repairs are dedicated to repairing your door as quickly and efficiently as possible. Immediately dispatching to your home or business after we receive your call, our team will work diligently to get your garage door back to it's peak performance. Our team is always upfront and honest with you regarding your options and pricing, giving cost effective alternatives when necessary. We service and maintain overhead doors, sectional doors, rolling doors, and coiling steel doors with both manual and automatic door openers. Dedicated to providing high quality work and gaining your trust and satisfaction, our repairs are 100% guaranteed. You can count on our team for all your needs at your residential or commercial location. Garage door problems can become a safety hazard, so it's important to address any issues as they arise and not neglect the situation. Specializing in customer service and attention to detail, the team at Sunshine Garage Doors will always hold high our standards of workmanship, priding ourselves on our reliability and affordability. Don't wait until there is an issue; our team is available to perform routine maintenance, sales and installation of a wide range of garage door units and parts. Whether it's garage door springs, broken cables, damaged door tracks or malfunctioning openers, our team will diagnose the problem and work to get your door functioning properly once again. 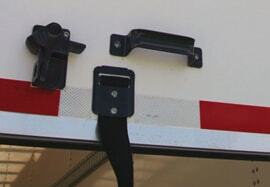 When a garage door component becomes loose or loses alignment, freezes up or wears out, we're there to help. Give us a call for your Pasadena area Commercial Garage Door Repairs today! We also provide sales and service for your overhead doors, sectional doors, rolling doors, and coiling steel doors. Get your free quote when you give us a call. At Sunshine Garage Doors, we are ready to process all requests for garage door repairs. We focus on the delivery of fist-class service. We make ourselves available 24/7 in any type of emergency situation. Never panic! Our quick response team is a dedicated team and will arrive to rescue you promptly. We, Sunshine Garage Doors, remind prospective clients, that there is no real substitute for professional maintenance and repairs of garage doors. Many garage door issues cannot be fixed by the non-technician. 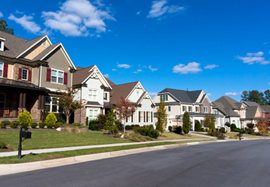 Plus, work performed by technicians from Sunshine Garage Doors, is fully guaranteed. We, Sunshine Garage Doors, want you to feel confident placing your residential garage. 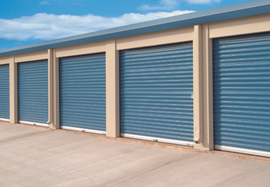 Commercial garage doors are necessary at many businesses---make no mistake. 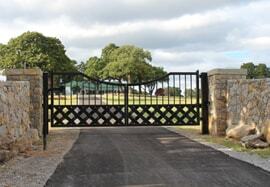 For master gate repair services, Sunshine Garage Doors is a company. Simply fill out the form and a representative will contact you within 24 hours.